As we start to work on our New Year’s resolutions Roadway Construction Service, wants to remind everyone not to forget to add compliance with the new traffic laws that the California State Legislature passed and go into effect this year. The new traffic laws for 2014 range from additional restrictions regarding use of wireless devices even with a hands-free device to registration changes. Bicycles: Passing Distance. 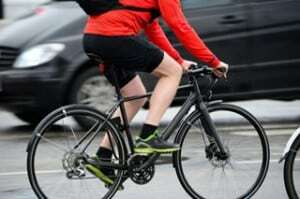 AB 1371 (Bradford), known as the Three Feet for Safety Act, will require a motor vehicle driver passing a bicycle that is proceeding in the same direction to pass with no less than 3 feet between any part of the vehicle and any part of the bicycle or driver. When three feet is not possible, the motor vehicle must slow to a reasonable and prudent speed and only pass when no danger is present to the bicyclist. Failing to do so can incur a fine, regardless of a collision or not. This law will take effect September 16, 2014. Clean Air Vehicle Decals / “HOV Stickers.” AB 266 (Yee) and SB 286 (Blumenfield), together extend sunset dates for low emission, zero emission vehicles to operate in high occupancy vehicle lanes (HOV) without meeting occupancy requirements to January 1, 2019. Commercial Driver’s License. AB 1047 (Linder) will allow the DMV to conduct the commercial drive test for the holder of an out–of–state commercial learner’s permit. The department would electronically transfer the information to the motor vehicle department in the applicant’s state of residence. AB 1047 also modifies the license class definitions to require a driver operating a bus weighing more than 26,000 pounds to hold a commercial Class B license and a driver operating a bus weighing 26,000 pounds or less to hold a commercial Class C license. DMV Vehicle Registration Pilot Program. SB 806 (Hueso) authorizes DMV to establish a pilot program to evaluate the use of alternatives to stickers, tabs, license plates, and registration cards, subject to certain requirements. It will also enable the DMV to experiment with electronic license plates, as well as facilitate DMV’s ability to explore cost–effective alternatives to California’s traditional metal license plate, plastic–coated registration stickers, and paper registration cards. Registration and Vehicle Transfers between Family Members. AB 443 (Lowenthal) prohibits the transfer of ownership of a vehicle to a relative or a revocable living trust until all parking or toll–violation fines and the transferee pays penalties reported to the DMV. Teen Drivers. 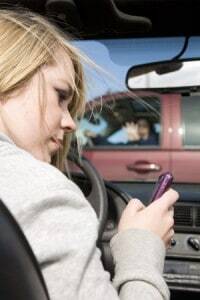 SB 194 (Galgiani) will prohibit a person who is under 18 years of age from using an electronic wireless communications device to write, send, or read a text–based communication while driving, even if it is equipped with a hands–free device. Veterans License Plates. AB 244 (Bonilla) Requires the California Department of Veterans Affairs (CalVet) to sponsor a veterans’ special interest license plate and requires the DMV to issue the veterans’ plate if CalVet meets the current statutory requirements. This law creates, in addition to the current Honoring Veterans design of the Veteran’s Organization Plate, a new program to reissue the Veteran design that was issued prior to January 1, 2010. These plates are available to all vehicle owners. The Department of Veterans Affairs must secure 7,500 pre–paid applications in order for the department to implement this plate program. Additionally, the Department of Motor Vehicles will begin the process of implementing AB 60 (Alejo)—the new law requiring DMV to issue a driver license to an applicant who is unable to submit satisfactory proof that he/she is legally present in the Unites States —by drafting new regulations and preparing field offices to process new applications. The new law becomes operative by January 1, 2015. The applicant will be required to meet all other driver license qualifications. For complete information on chaptered bills enacted in 2013, please refer to the Legislative Counsel website at www.LegInfo.ca.gov.